Halloween is around the corner, and we all know what that means! For some of my friends, it is THE time to get their Star Trek costumes out. Have them dry cleaned and what not. For others, it is the time to get their creative juices running and come up with a costume from scratch. If you do not have the time or the inclination to spend a lot of time and effort on this year’s Halloween costume, I have the perfect option for you: awesome pirate costumes! Pirate costumes are not exactly new – some of the best Halloween costumes you have probably seen are of the kind that makes you go “nyar” or makes you wanna say “matey”! What makes pirate costumes great is that anyone can find something to suit himself, or herself for that matter. Male or female, adult or child – there is at least one variation of pirate costume that will hit the spot. Not to mention the fact that The Pirates of the Caribbean have upped the level when it comes to pirate costumes! So how can going pirate this Halloween make it easy for you, all the while making you look unique? Go online and take advantage of technology! After all, that’s what we’re all about here. 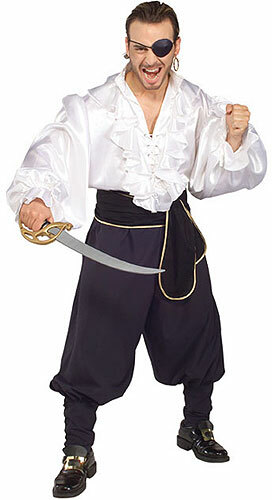 There are so many web sites offering costumes for any occasion, but this pirate costumes web site is one of the best you can visit. It’s got everything you can want from a pirate costume site. From specific costumes from Johnny Depp’s famous movies to tavern wench costumes to Peter Pan costumes to Colonial pirate costumes – you will not lack for choices. I have to be honest and tell you that I have no plans for Halloween parties yet, but I am such a sucker for window shopping. And what I found on the site has been keeping me busy for hours. Take a look at this tavern wench costume. Don’t tell me that won’t be a hit? 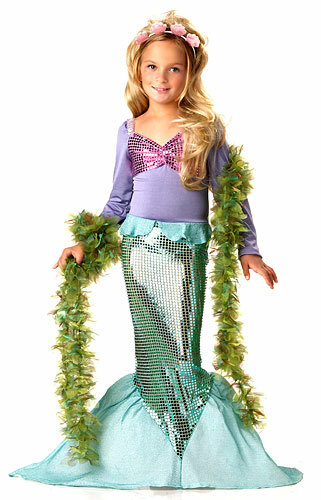 Then there’s this ocean mermaid costume, which just might get you the award for best costume of the night! In case your little one is going to her own Halloween party, you might want to check this one out. Of course, there are also costumes for men. I think this cutthroat pirate costume will enable you to give Johnny Depp a run for his money. If you want things simpler, though, this swashbuckler costume might fit you. Looks to me like you won’t have to stress over this year’s costume if you decide to go like a pirate!